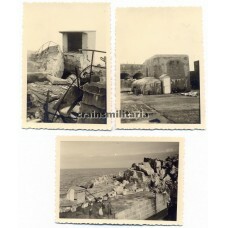 3 photos of the Fort Est with destroyed bunkers near Cherbourg, Normandy France. 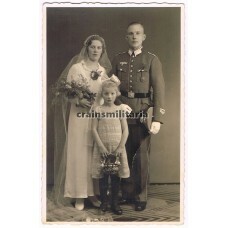 6x9 cm Agfa L..
An unknown Knight's Cross holder, presumably of the 6. 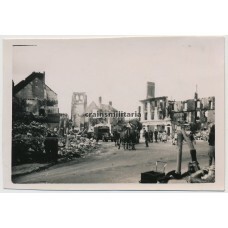 Panzer-Division - indicated by the unit insig..
Bunker and barracks, orginally built by the British, on the mole of Cherbourg, Normandy, France.6x9 ..
German advance in destroyed city Calais, France 1940. 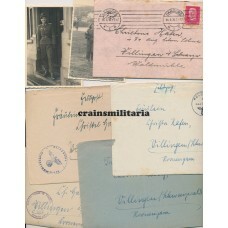 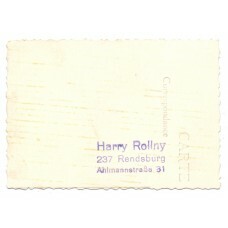 6x9 cm Velox, described "Das zerstörte C.. 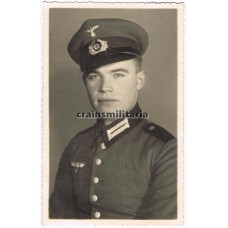 Marriage portrait of a soldier with DRL Sportabzeichen and rank insignia. 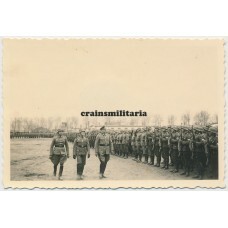 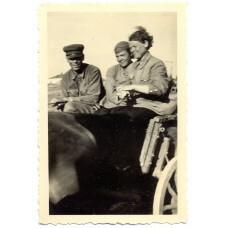 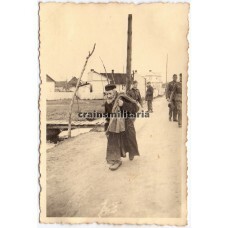 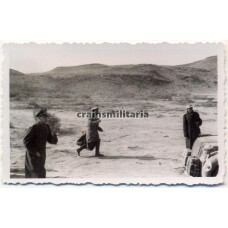 Postcard sized, smal..
Russian female POW's on a cart. 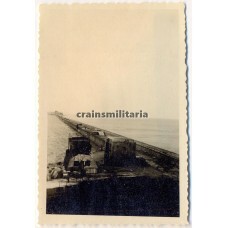 6x9 cm Velox. 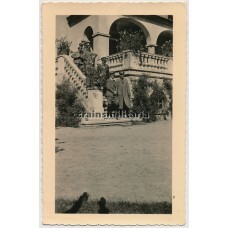 Interesting caption: "Russ. 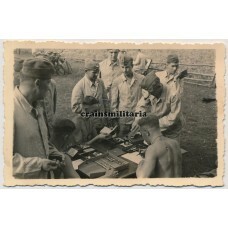 'Sanitäterinne..
French colonial POW's during forced labour in Bretteville, Normandy, France. 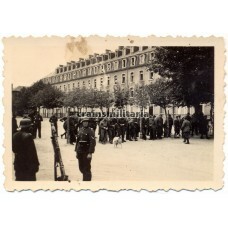 6x9 cm Velox..
Group of French POW's guarded by German soldiers in Reims, France 1940. 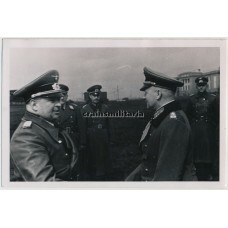 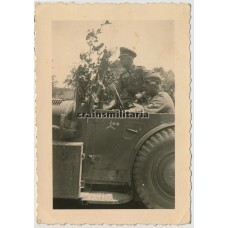 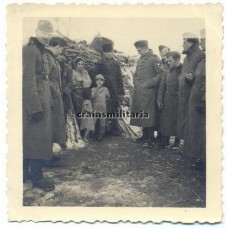 6x9 cm, captioned "zum..
Meeting of Generalmajor Kurt Zeitzler and Generaloberst Ewald von Kleist in April 1942. 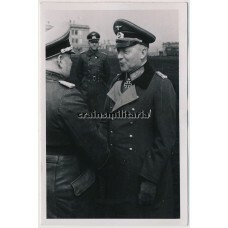 The latter c..
Meeting of Generalmajor Kurt Zeitzler and Generaloberst Ewald von Kleist in April 1942. 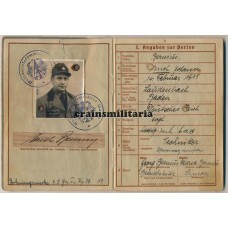 12x8 c..
Hauptmann with ribbon bar and more awards in 1943. 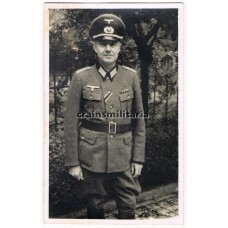 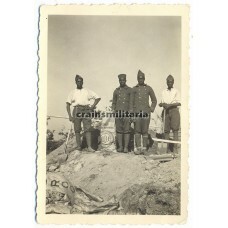 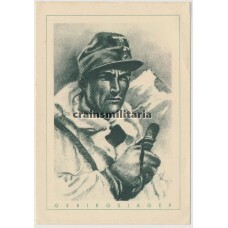 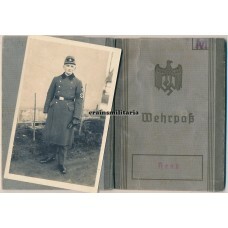 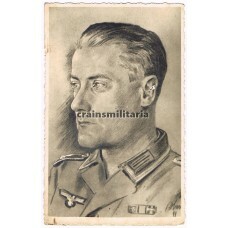 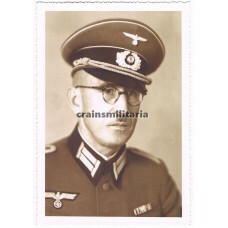 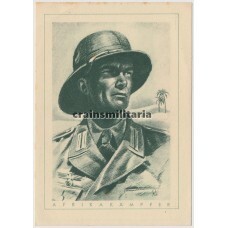 Agfa postcard, captioned "Zur Erinnerung an..
Postcard sized portrait of a Heer officer with Schirmmütze and ribbon bar. 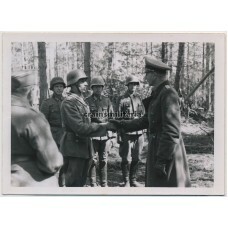 Mimosa Carbon-Braun..
Rare private photo of Hitler and Himmler, along with other generals and officers, during a visit to ..
Knight's Cross ceremony of Heinrich Tromm, Kommandeur of Infanterie-Regiment 411, part of the 122. 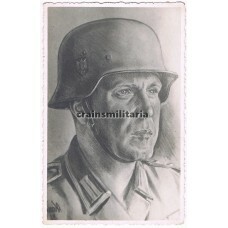 I..
Knight's Cross ceremony Hubert Brinkforth 12.Pz.Div. 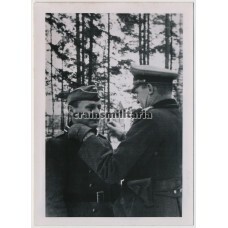 Private photo of the Knight's Cross ceremony of Gefreiter Hubert Brinkforth, soldier of the 12. 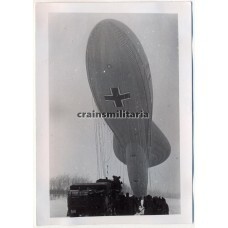 Panz..
An observation balloon, lots of detail, hauled in with SdkFz7x10 cm Agfa Brovira..
6x9 cm Mimosa Sunotyp, captioned "Staraja-Russa. 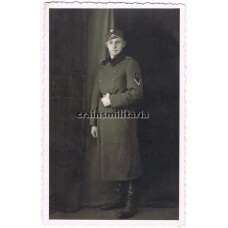 Kirche"..
German collumns passing over a Don bridge near Rostow, Eastern Front.6x9 cm Agfa Brovira.Written "Ro..
Photo of Fritz Schelhorn, who earned the Ritterkreuz on 4th of September 1942 as Zugführer in Schütz..
Officers attending a "Planspiel" (strategic war game) with Ritterkreuzträger Major Karl Koetz in Aug.. 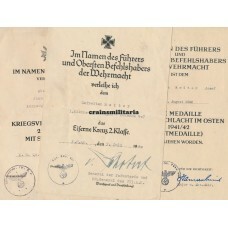 Soldiers with their Soldbuch receiving pay ("Wehrsold") from the Zahlmeister. 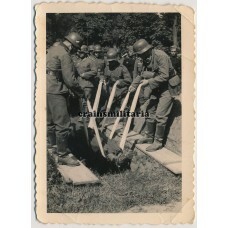 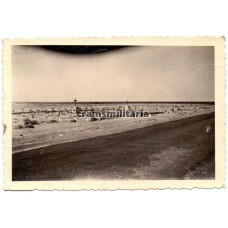 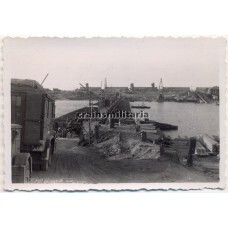 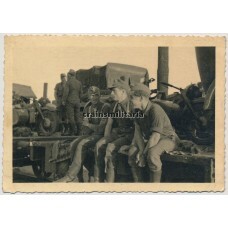 Photo taken in Ullesch..
Collection of Sammelbilder of the series 'Unteroffiziere des Heeres mit dem Ritterkreuz'. 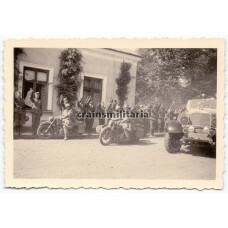 They were ..
Heer members greeting the Führer as he is passing by in Poland, 1939. 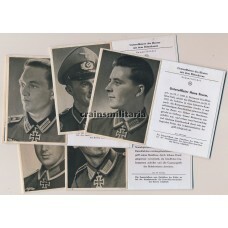 6x9 cm, Agfa Lupex..
Heer Hauptmann posing with Schirmmütze and awards. 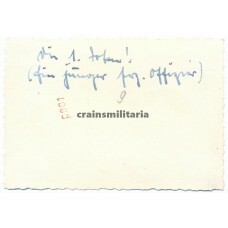 Agfa postcard with lengthy dedication on th..
Knight's Cross ceremony of Johannes Baasch, serving in Infanterie-Regiment 410, part of the 122. 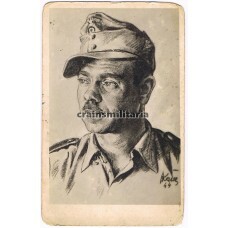 Inf..
KIA French officer after street fighting. 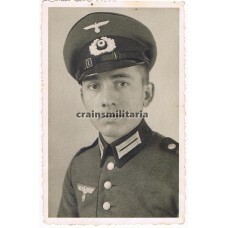 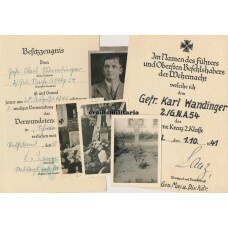 The signpost to Liart locates this photo west of Charlevil..
Heer Gefreiter full view in greatcoat with Nachrichten patch.Mimosa postcard with studio stamp in Vi..
Grouping to Gebirsgjäger Karl Wandinger, who was badly wounded with Gebirgs-Nachrichten-Abteilung 54.. 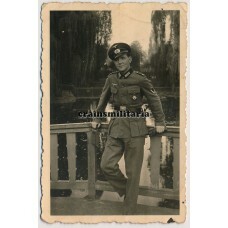 Soldier with the Kreissieger Abzeichen posing in the Münster Zoo, summer of 1940. 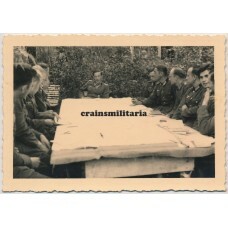 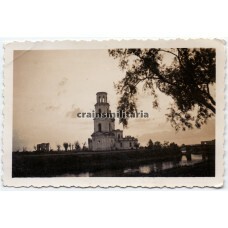 6x9 cm .. 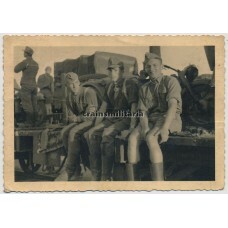 Soldiers of Inf.Rgt.353 of the 205. 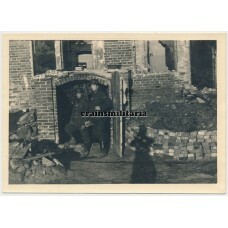 Infanterie-Division at the entrance of a cellar in Russia, 1942-..
Wehrpass, document and photo grouping to Wachtmeister Erich Bernius. 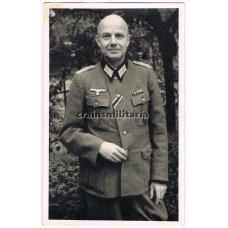 Entering service in 1938, he fo..